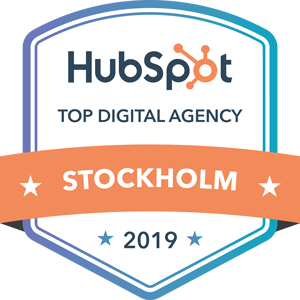 Your hybrid web agency in Stockholm. We Turn Lemons into Rocket Fuel. That’s what our name sounds like, right? It’s fun and unique, not funny and out of place. A lot of things have changed since 2009. Like our office, portfolio and the range of services we provide. But our name, purpose and the value we want to give our clients will stay the same. To infinity and beyond, as the great Buzz Lightyear would say. We have a lot in common with diamonds. And underground music actually. Not a lot of people noticed us at first, and it took us some time to shine. Our first office was in a basement and a carbon grey IKEA-couch was the primary spot to crack a few jokes and build websites. But we got careless. After a few successfully launched websites too many, we had to get a corporate camouflage in the shape of desks - and a view. The sign over the couch in our first office said “iGoMoon - Web Agency”. Today it says “Hybrid Agency” and hangs on the door. We still build great websites. Our tools are different and the challenges and clients are new. But we are still brave, crisp, and fun because that's how we got here. And we are going to stay that way, to infinity and beyond. Oh look at us, blabbering on. Sorry about that. That’s our story. What’s yours? Just like we were allowed to as kids. We point at the man in the moon and his potentially cheese inhabited planet and say ”I'm going to walk on that thing one day.” Today, most people would call you crazy for saying that. But we would call you one of us. But we are dreamers at heart. We want to discover new possibilities and find the rocket fuel that pushes the project to unexpected limits. We don’t look at a lemon and say “oh that’s a lemon”. It’s a new universe that needs to be explored. Why? Because you can't turn a lemon into rocket fuel. And that’s why we are in the digital agency game. The industry changes every day, which makes people think it’s a sprint, not a marathon. This is where they go wrong. If you run in different directions each day, at high speeds, you lose your direction. And your dreams stop coming through. That’s why we never stop pointing at the man in the moon. Or let a lemon just be a lemon. Crisp | You can't live on old merits - unless you're the universe and created the Big Bang. That was pretty awesome. And that's what we are aiming for. That's why we always deliver awesome services and customer experiences. Fun | Is the result of our work. And why we do this. If we conquer a new roller coaster every day and make our customers giddy with excitement, that’s a pretty fulfilling way to work. Step in to our workshop and meet the developers, designers and digital discoverers that make it all happen. We are pretty excited about our work, and well, we can’t really hide it. Take a peek at some of our client-work.